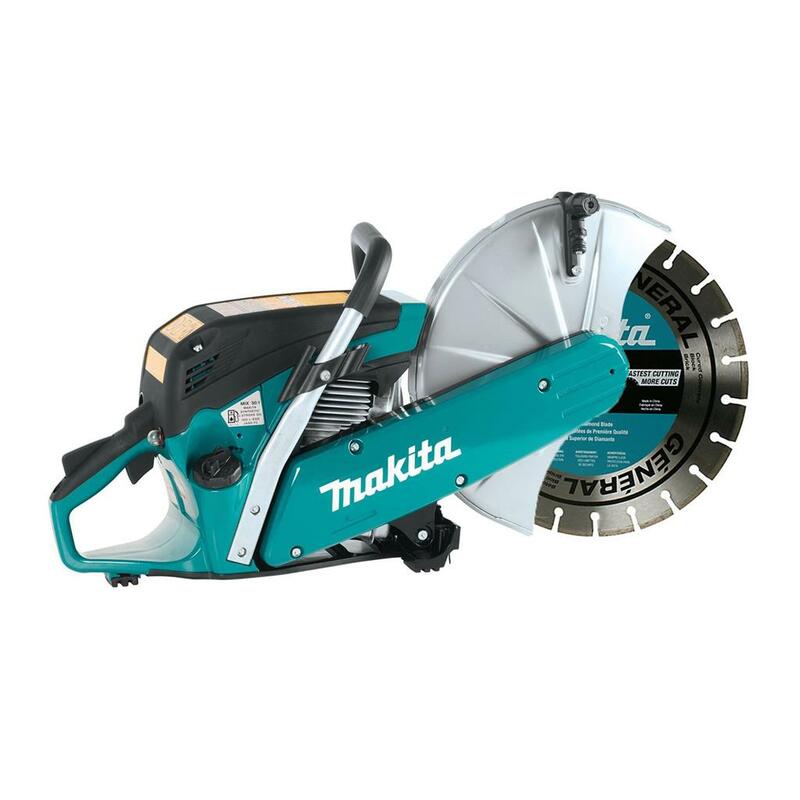 The Makita EK6101 2-Stroke (MM2) 14 In. 61cc Gas Saw is engineered for industrial performance but with less weight at only 19.6 lbs. The compact and efficient EK6101 is powered by a 61cc engine with a full 4.4 HP for the most demanding concrete cutting applications. It's engineered to start easier and vibrate less. It also has innovative features like Stratified Air Scavenging (SAS) that recovers up to 75% of unburned fuel to reduce fuel consumption and a cyclonic air intake that discards larger debris for increased air filter life - and less maintenance. The compact and efficient EK6101 is an ideal cutting solution for metal decking, angle iron, I-beams, cast iron pipe, brick/masonry, stone/concrete blocks, railroad rails, road curbs and asphalt. Smaller hub and drive wheel assembly increases maximum cutting depth to 5-1/8"